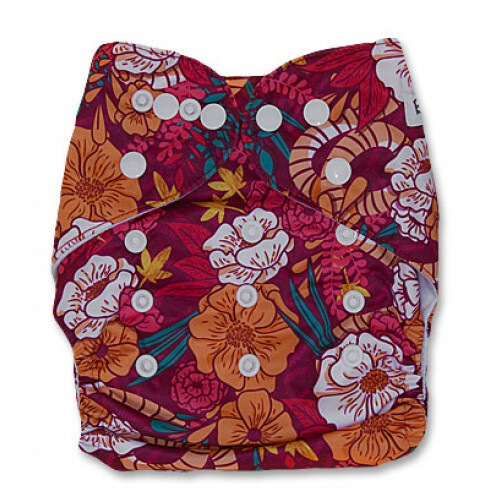 They're designed to do away with the need to “stuff” inserts into the pocket/sleeve. 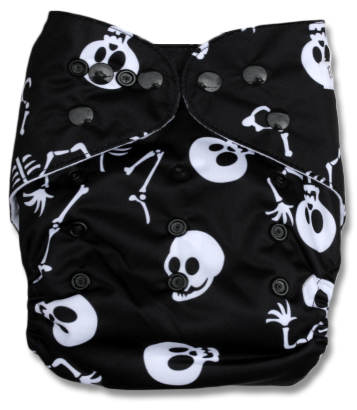 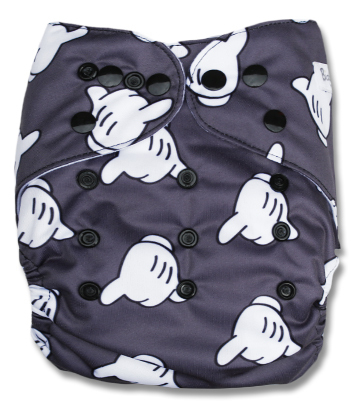 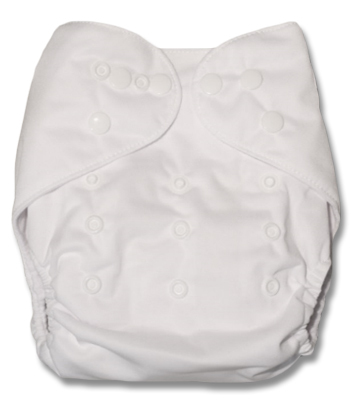 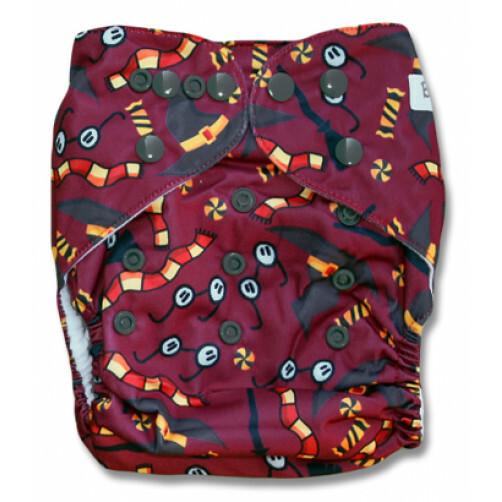 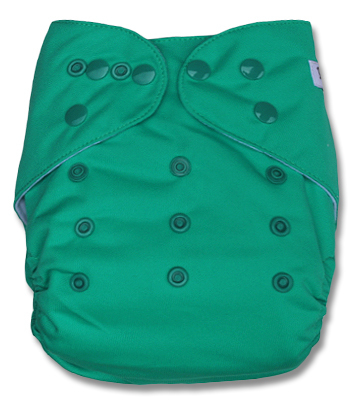 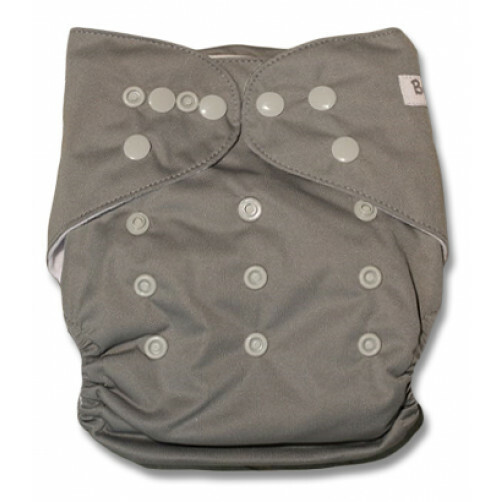 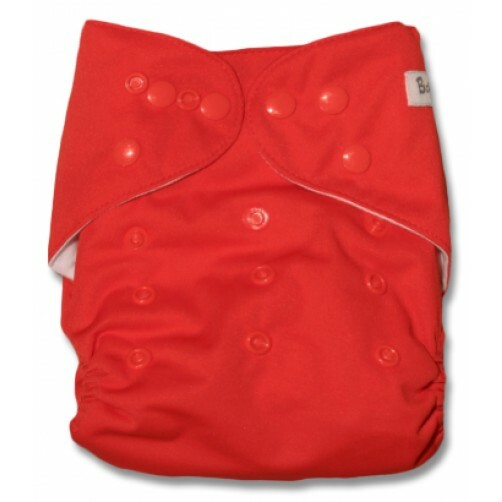 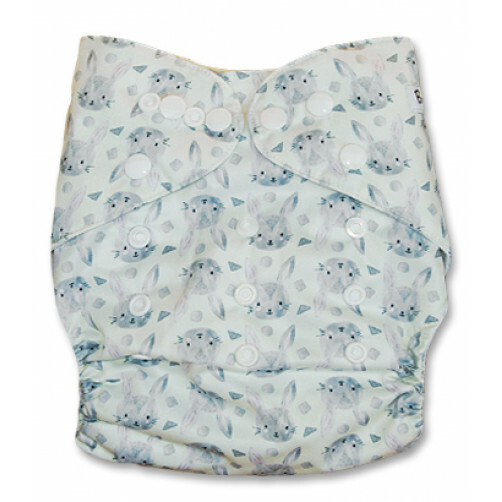 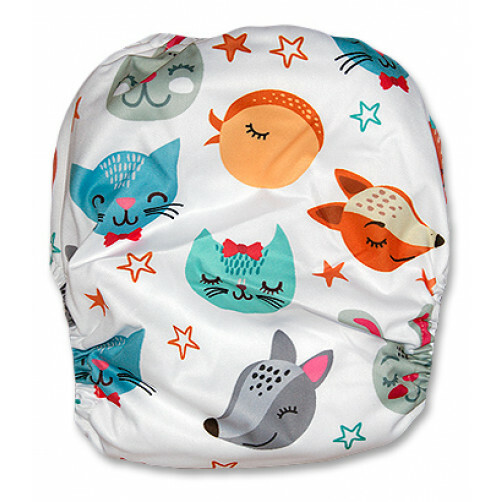 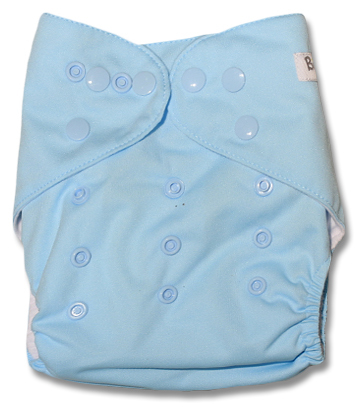 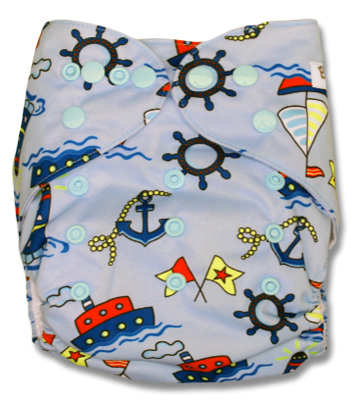 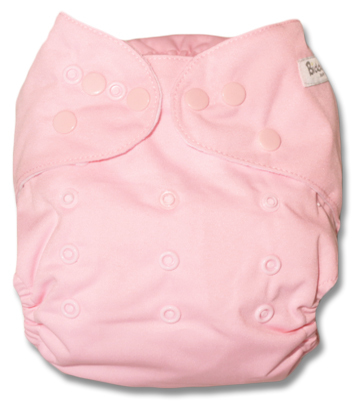 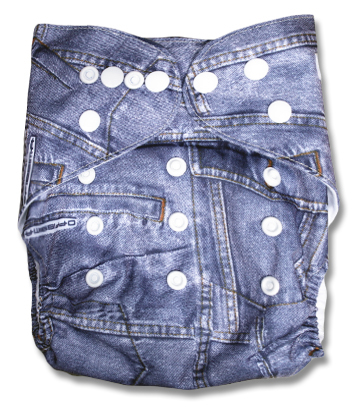 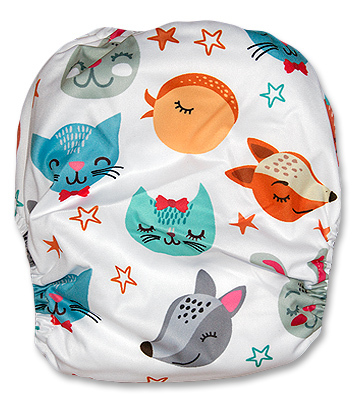 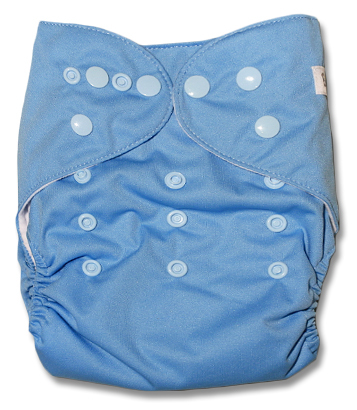 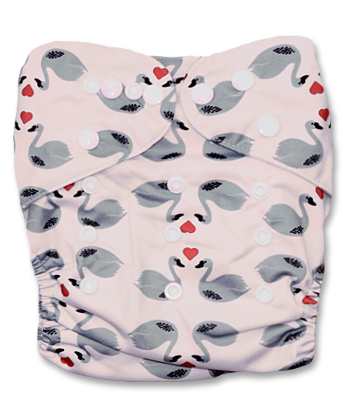 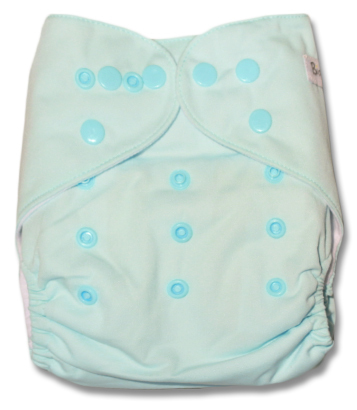 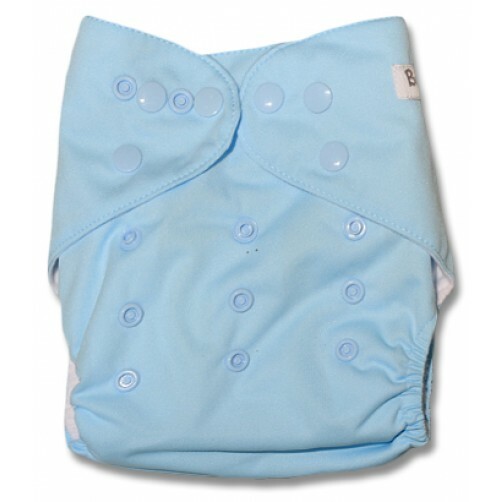 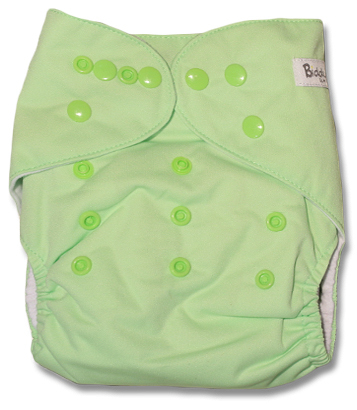 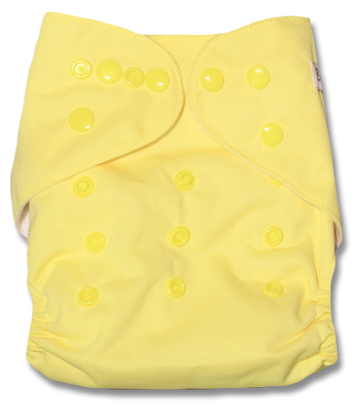 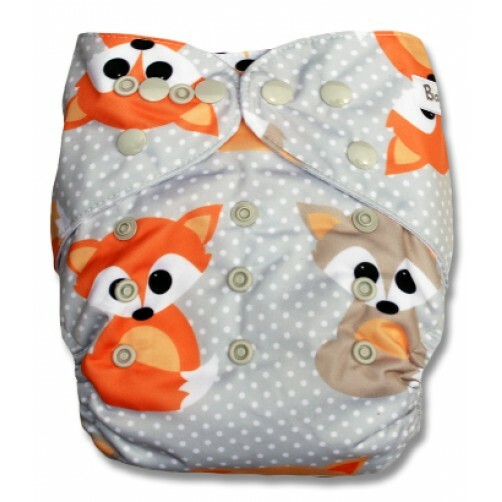 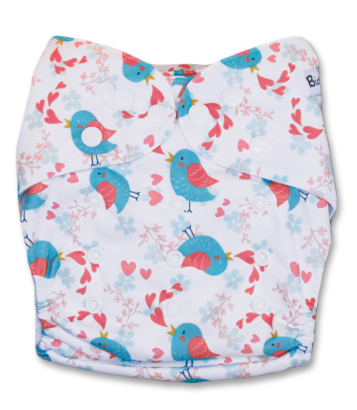 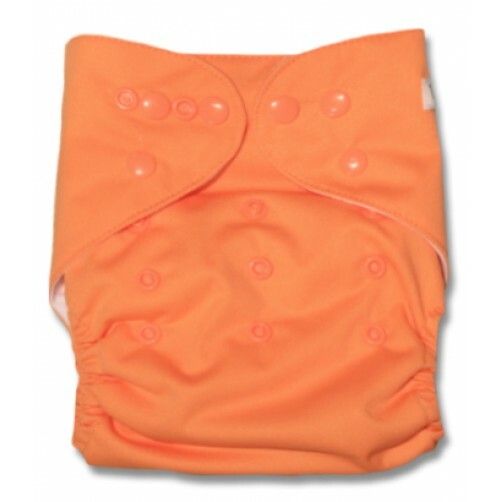 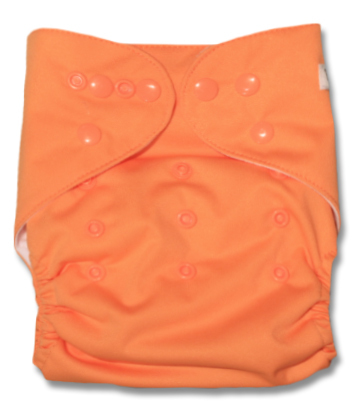 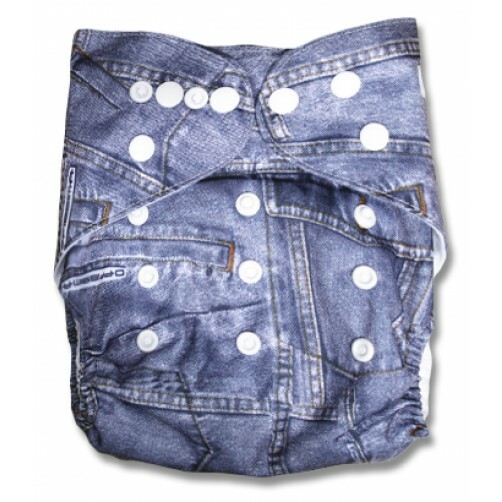 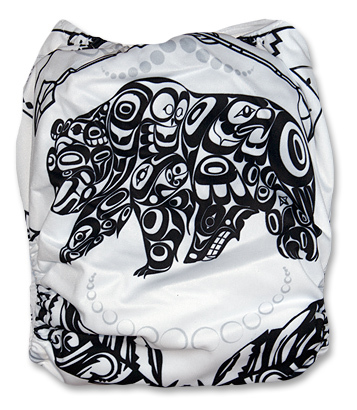 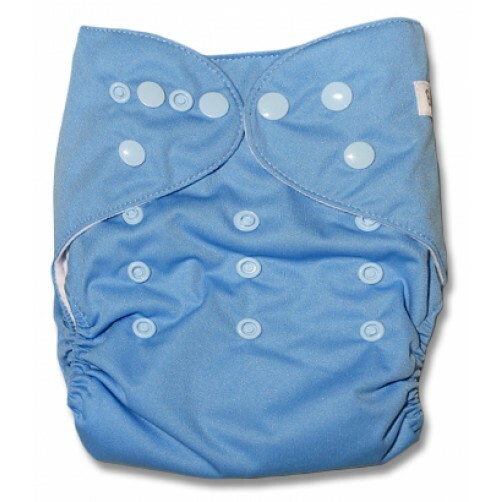 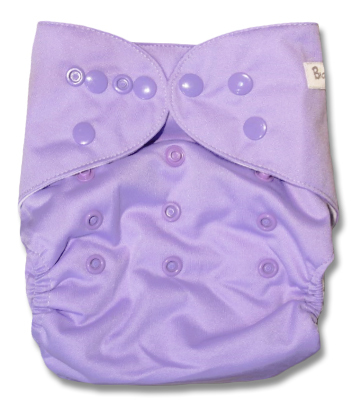 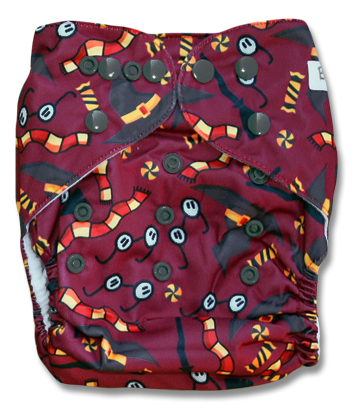 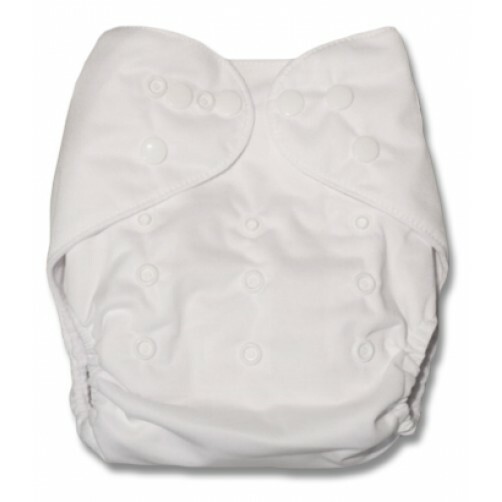 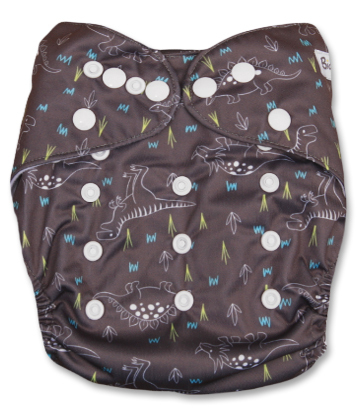 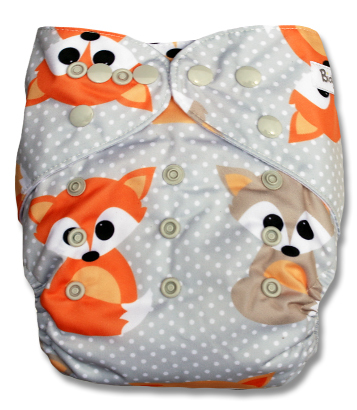 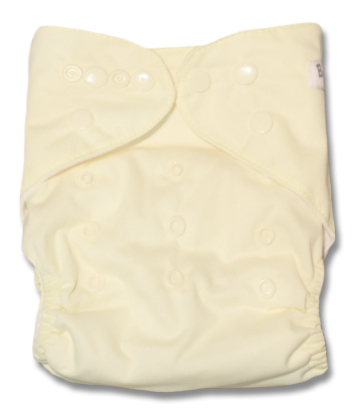 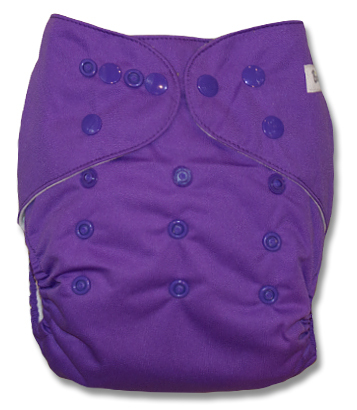 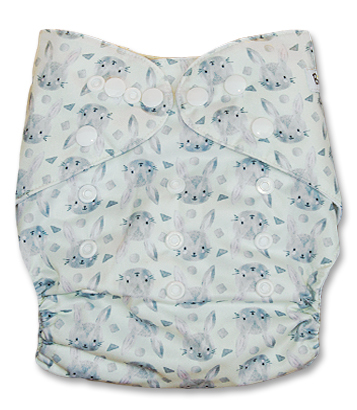 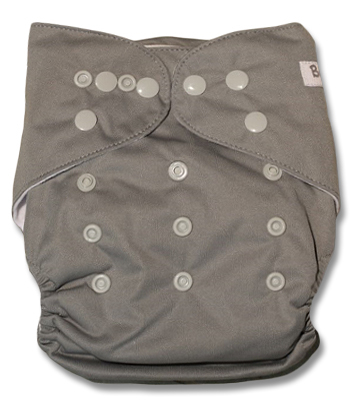 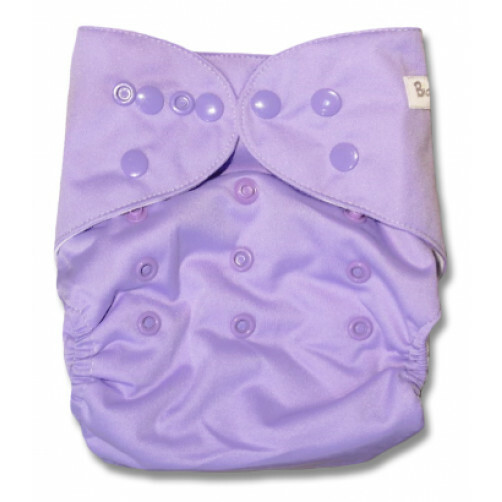 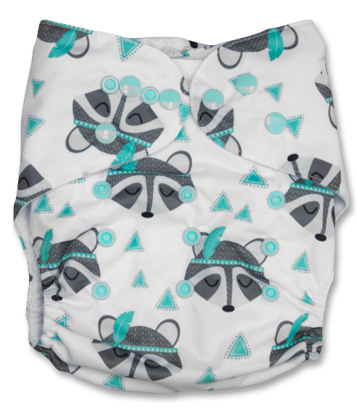 Instead of having loose separate inserts, the inserts are sewn onto (attached to) the nappy, making it a "grab-'n-go" nappy. 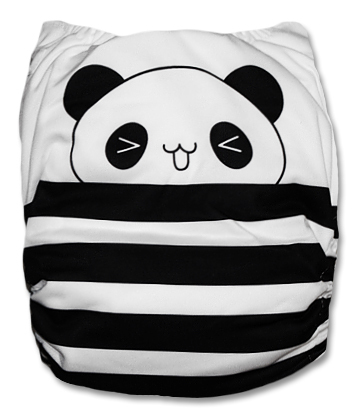 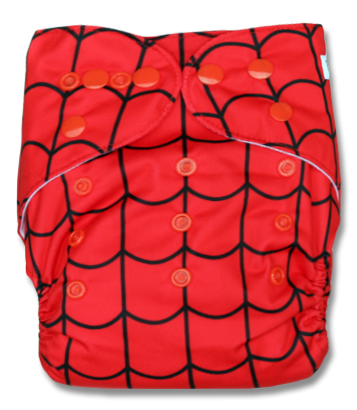 Cloth moms agree, having voted it SA's favourite All-in-One nappy. 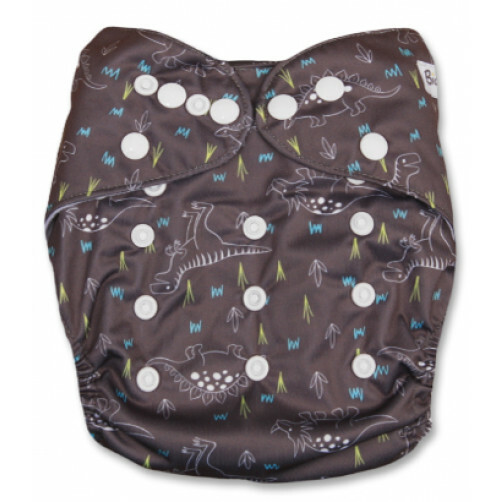 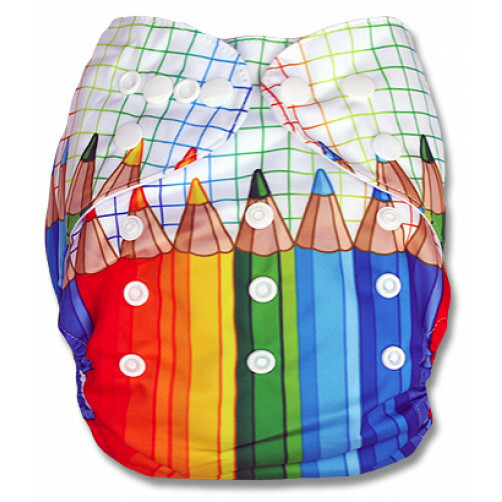 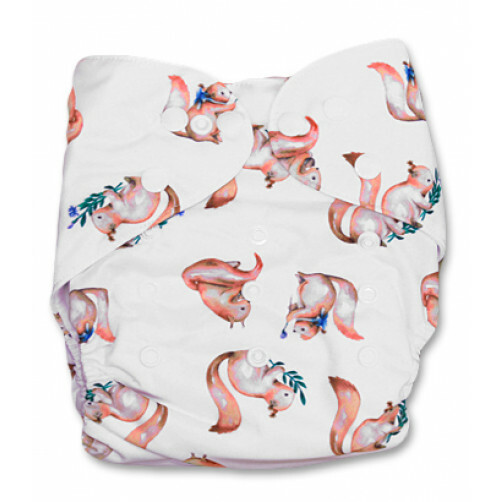 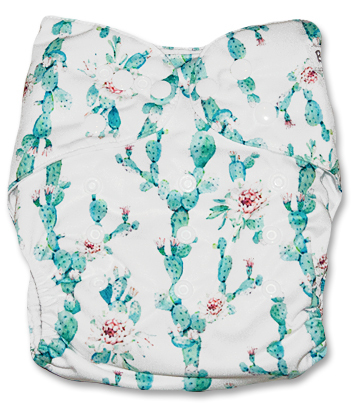 The various insert layers, size and positioning are carefully researched to offer the best possible blend of absorbency AND trimness, ensuring that the inserts fit INSIDE the nappy, regardless of the size adjusted setting! 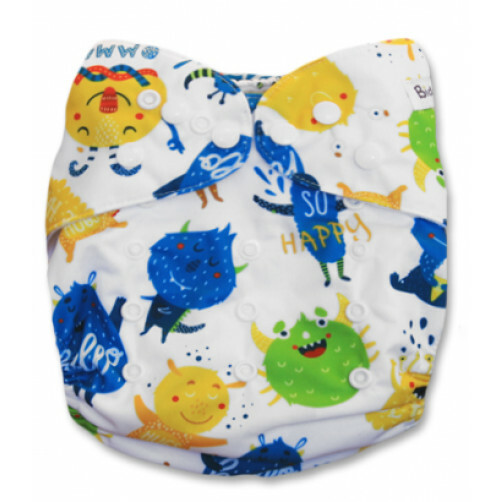 Being custom designed, we can periodically tweak the size of the inserts slightly as we continue to work towards achieving the optimum combination of trimness & absorbency. 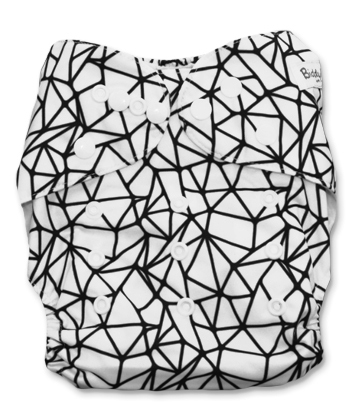 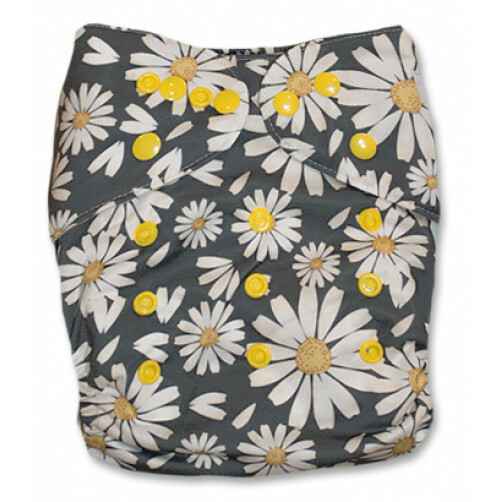 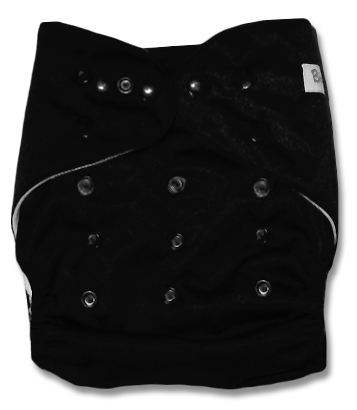 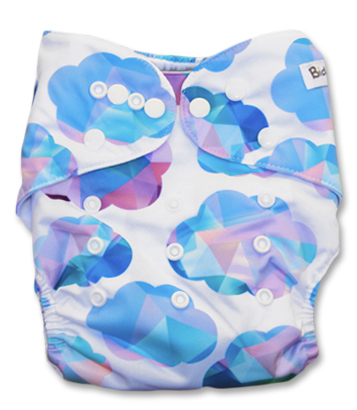 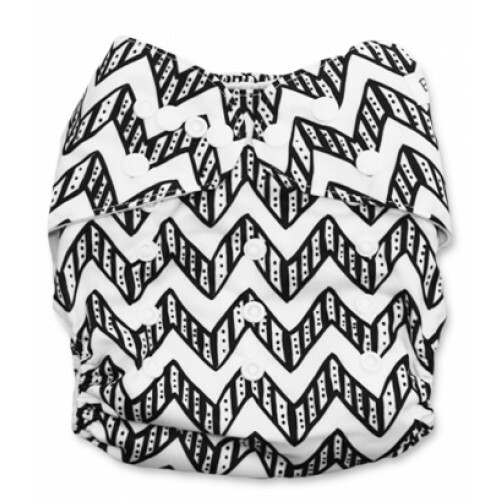 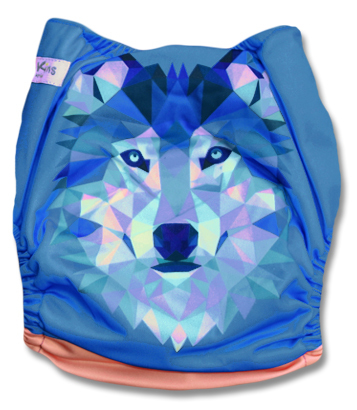 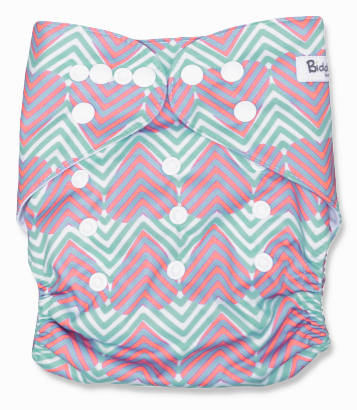 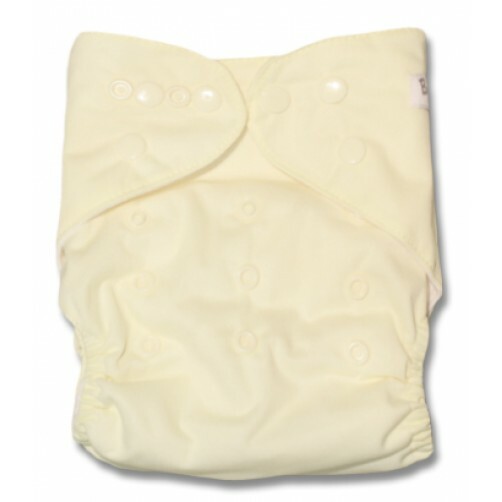 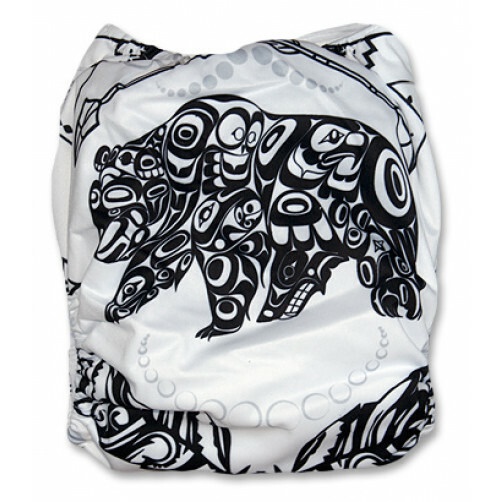 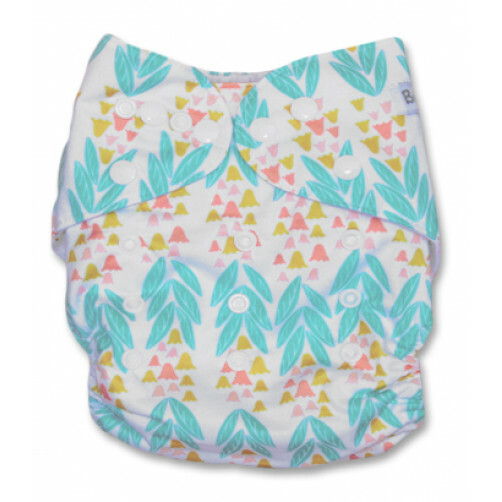 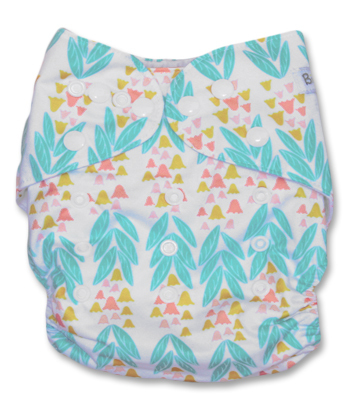 The 5 layer bamboo blend top insert, which includes a suedecloth "StayDry" layer, ensures baby feels dry and comfortable. 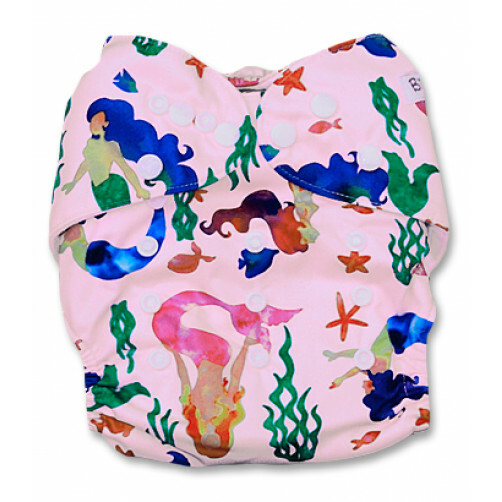 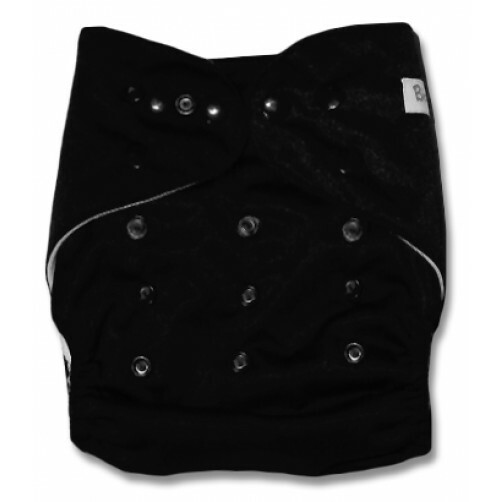 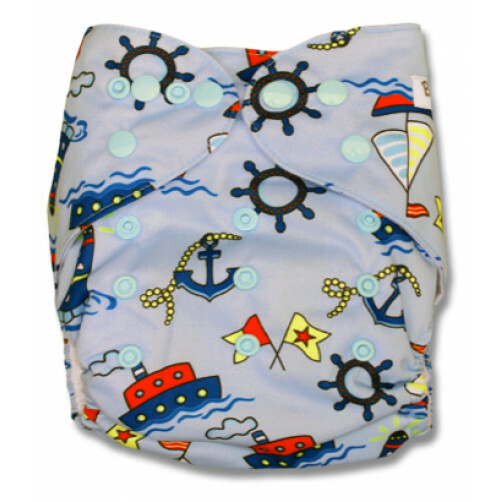 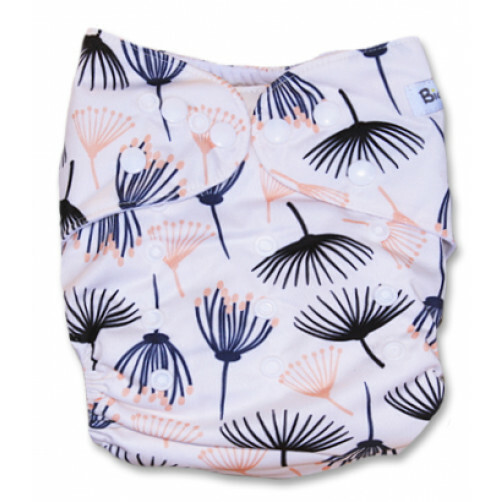 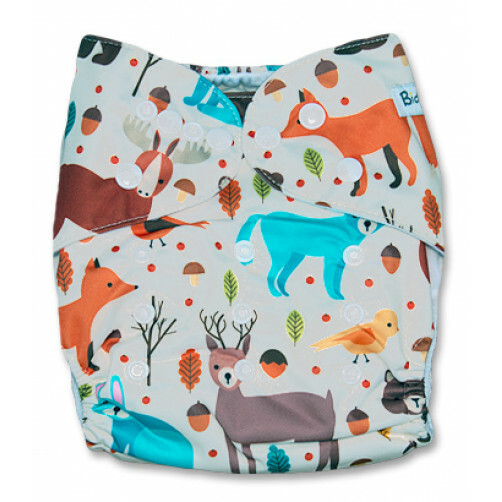 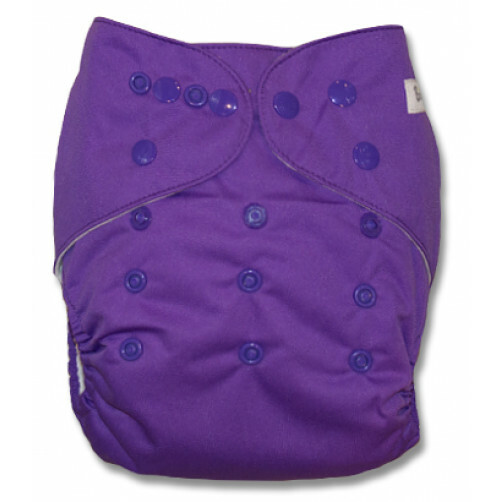 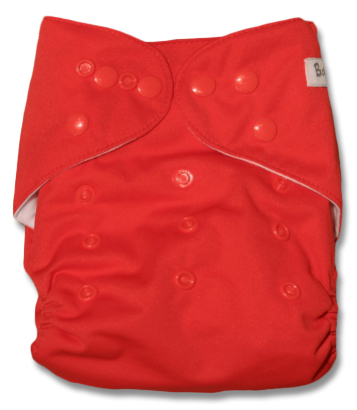 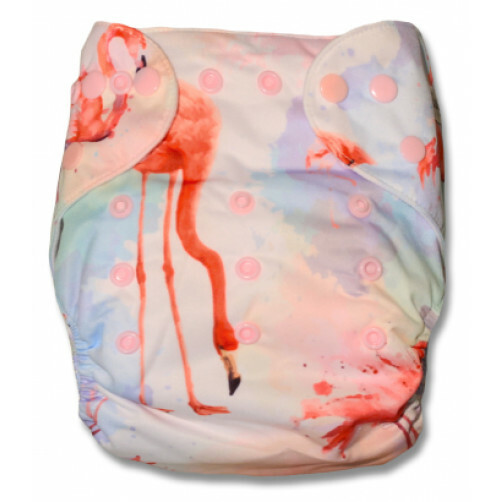 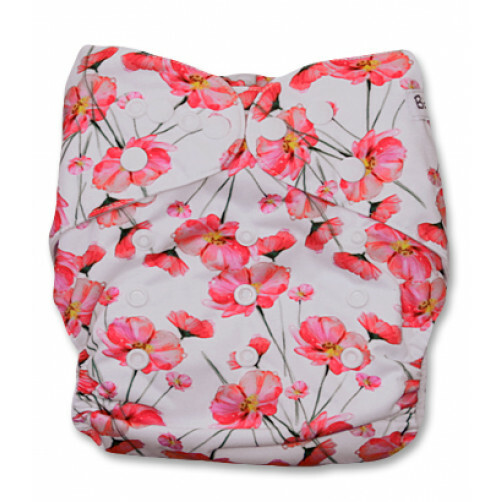 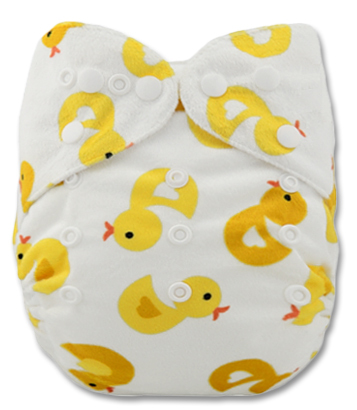 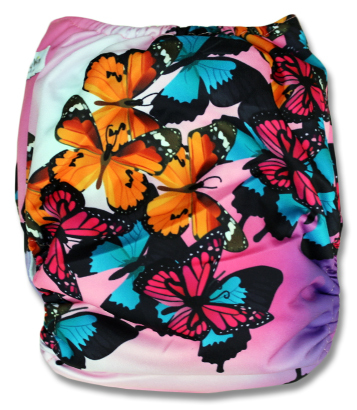 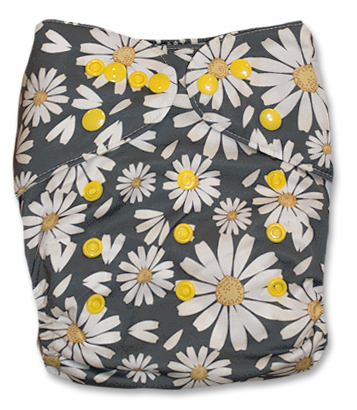 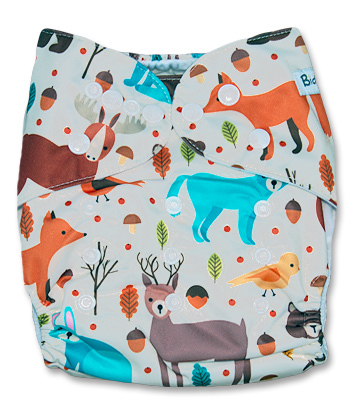 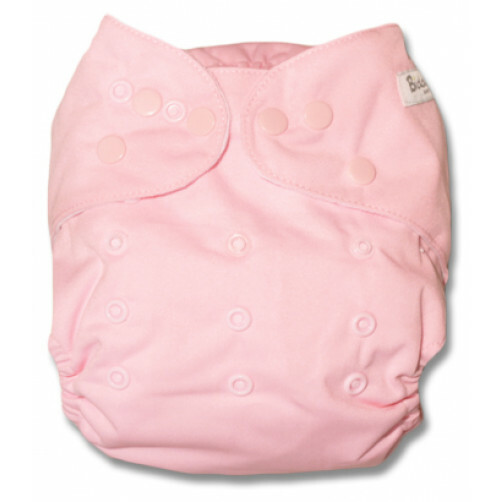 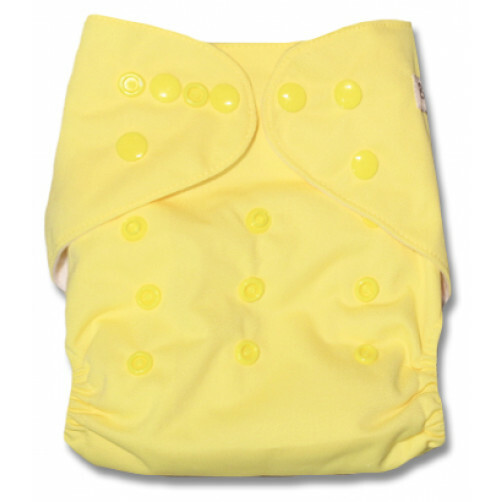 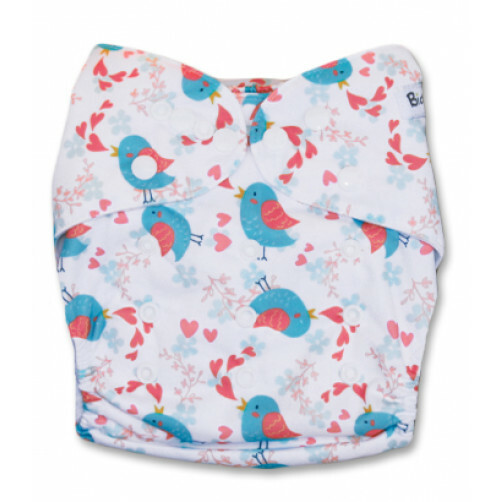 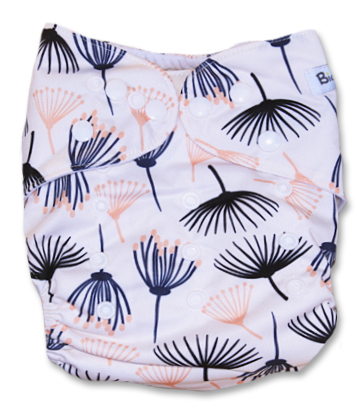 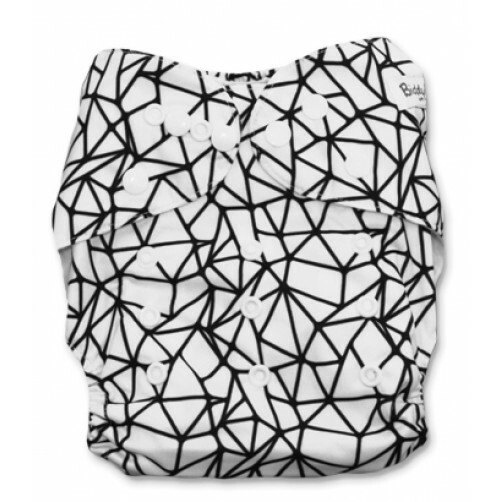 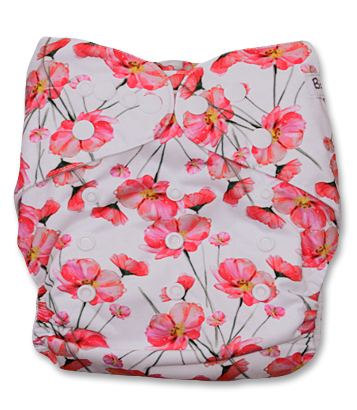 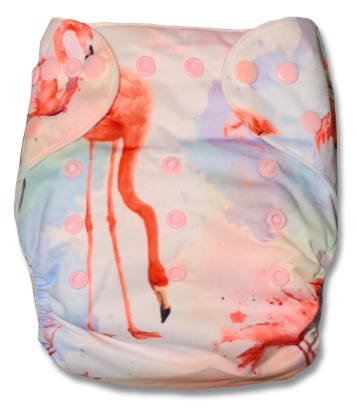 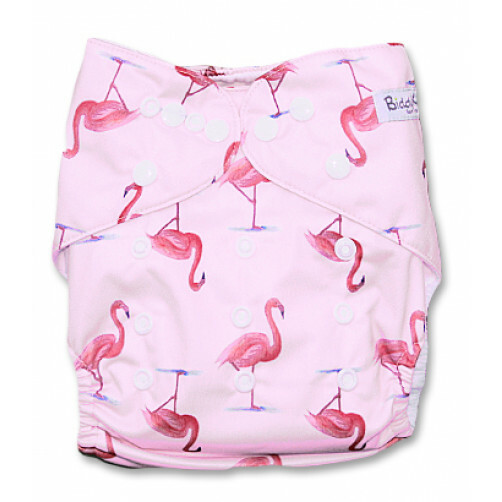 The suedecloth "StayDry" lining that continues right up to the back elastic not only keeps baby feeling dry, but also ensures that 'everything' is contained within the nappy ! 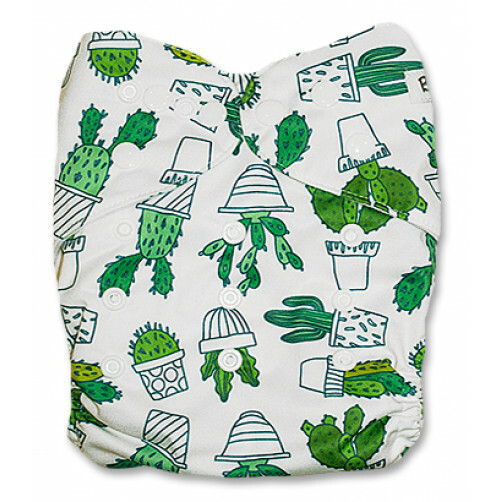 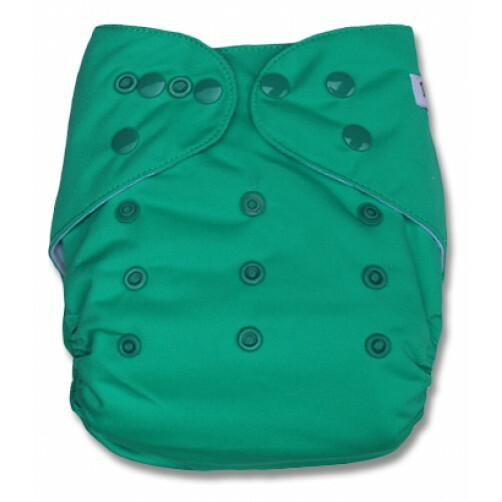 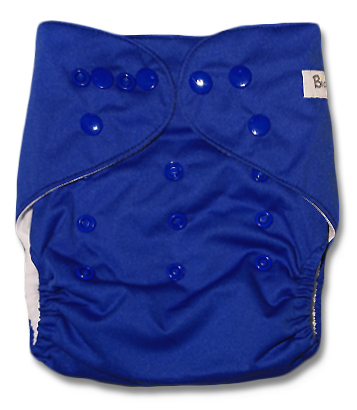 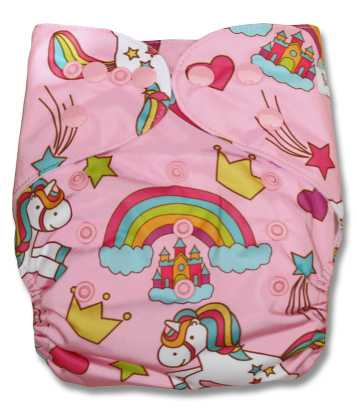 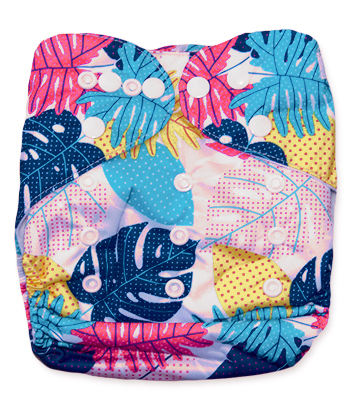 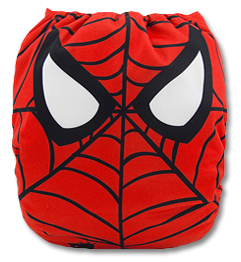 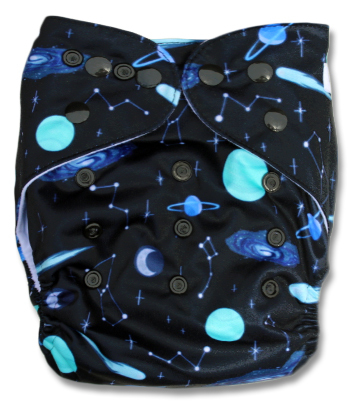 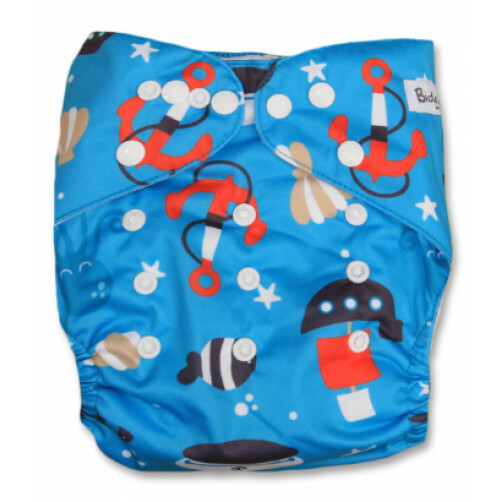 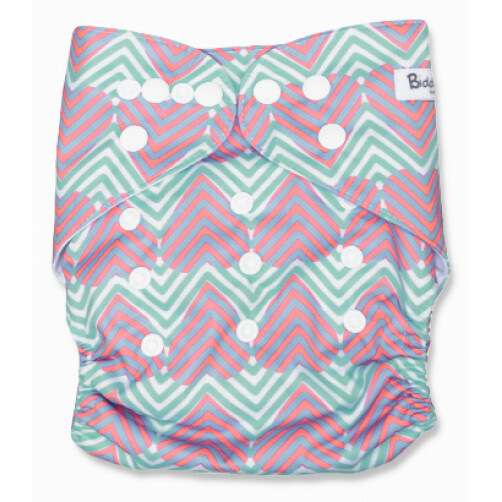 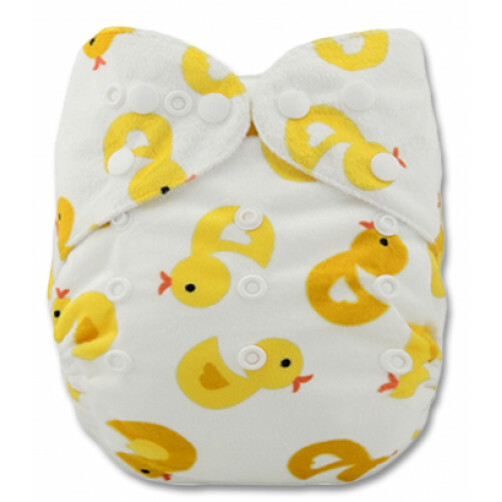 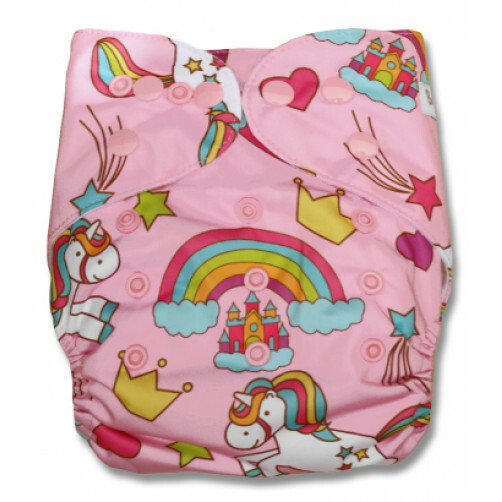 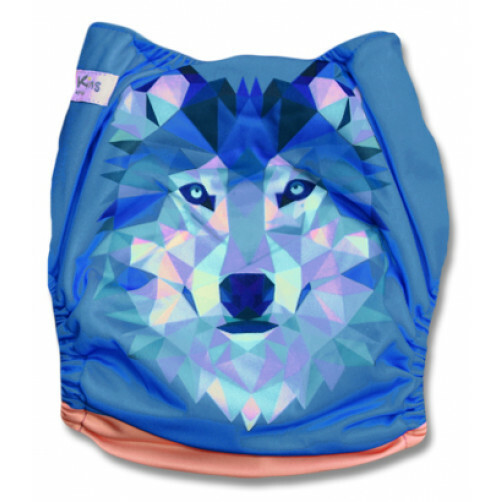 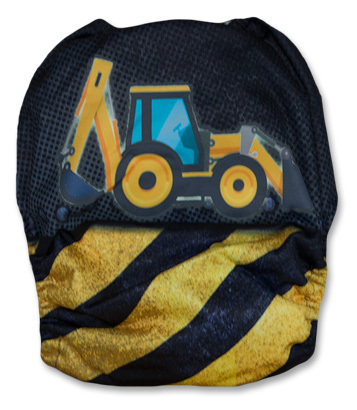 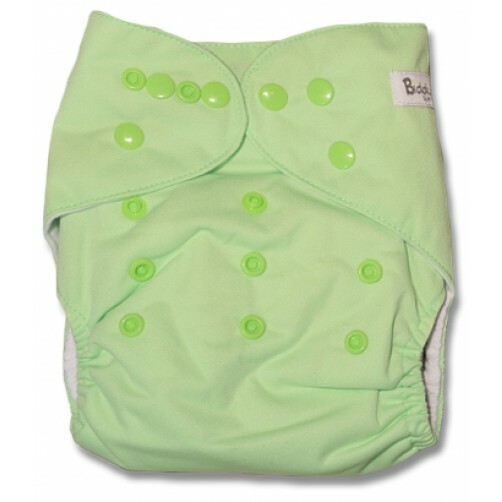 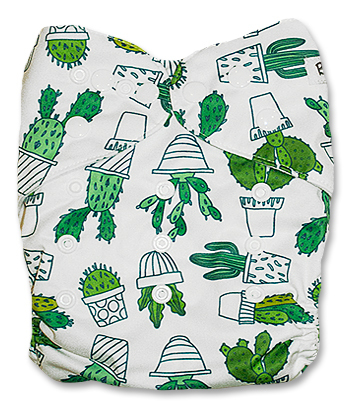 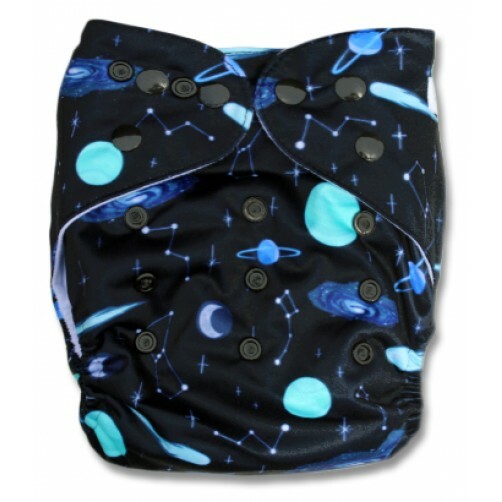 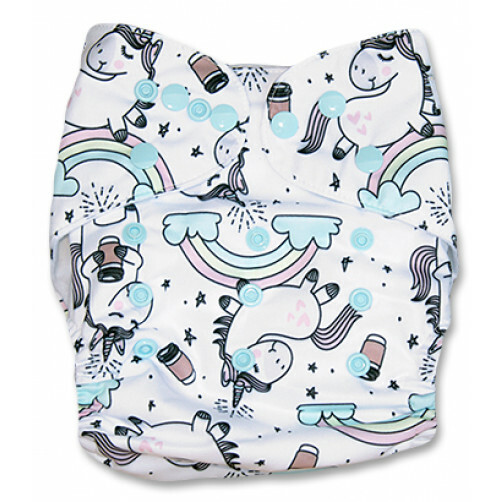 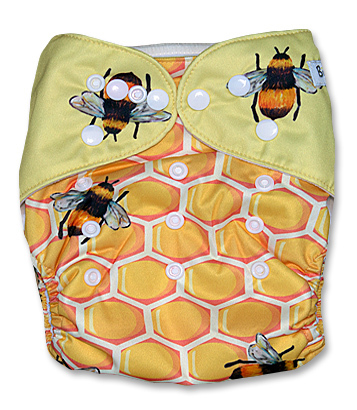 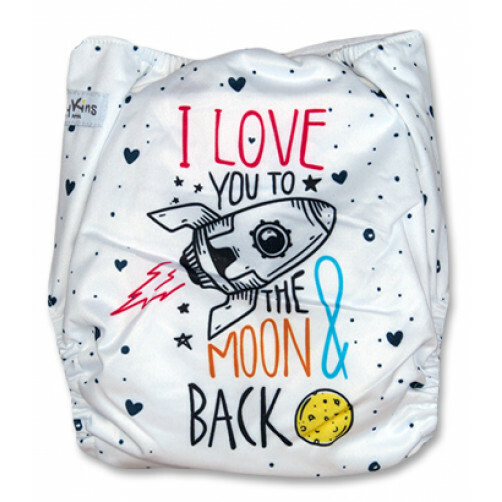 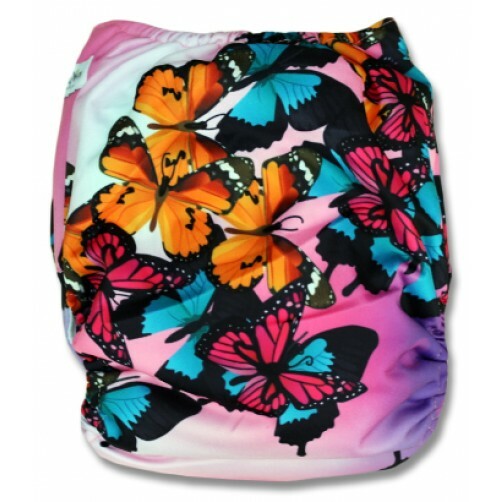 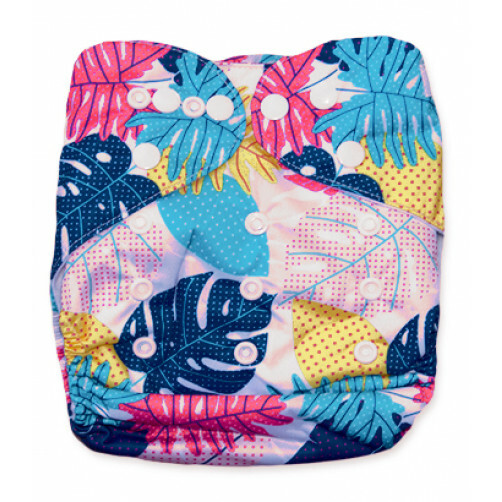 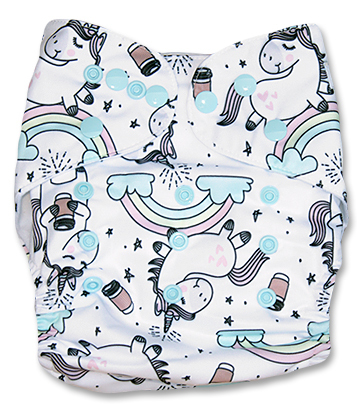 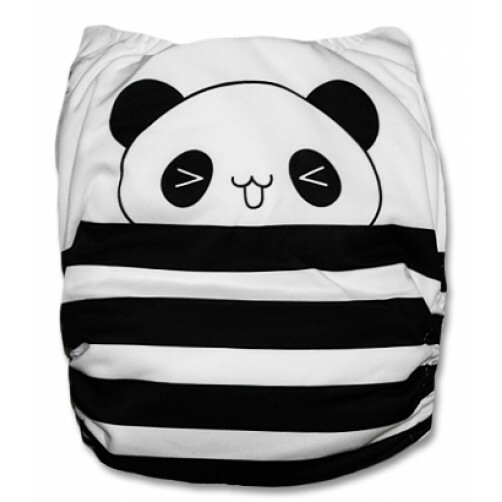 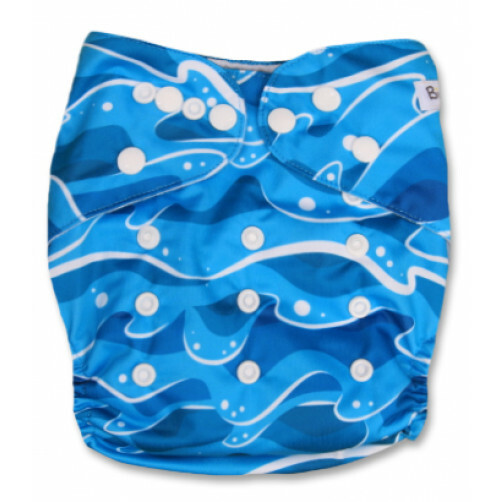 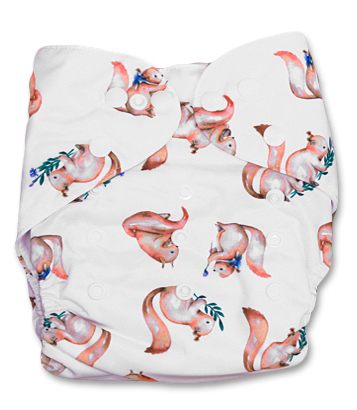 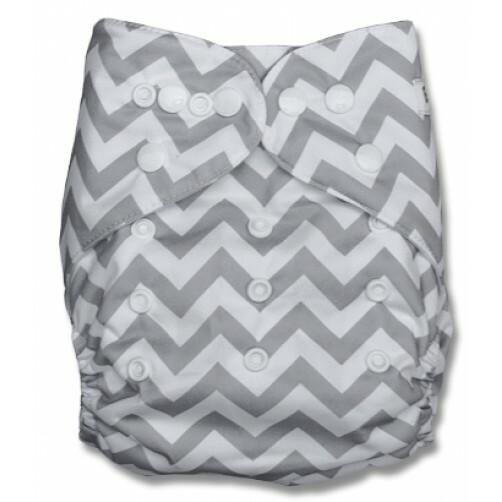 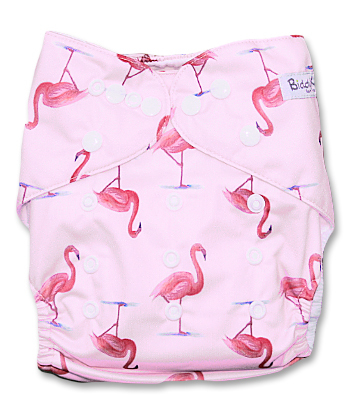 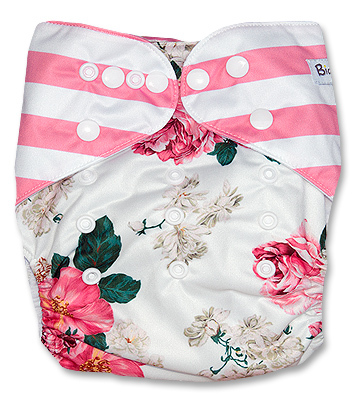 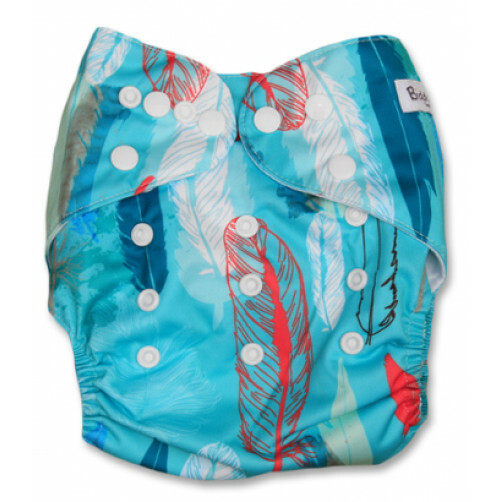 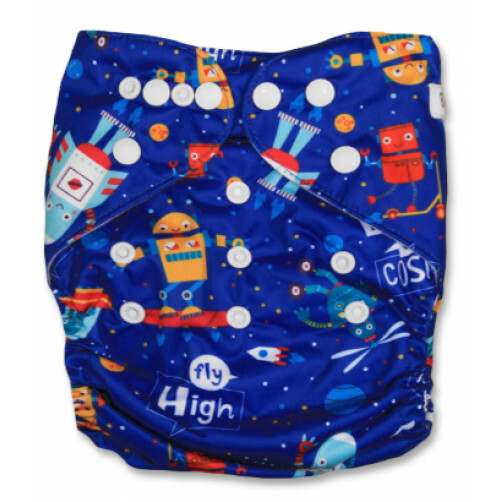 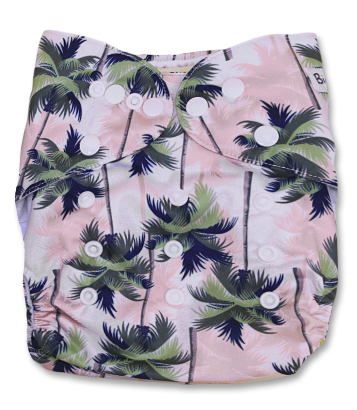 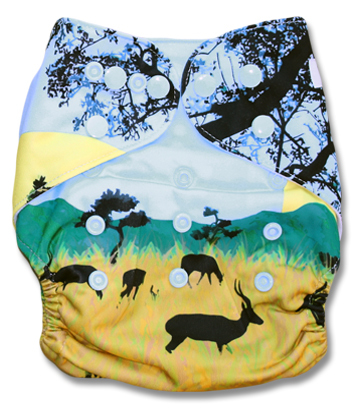 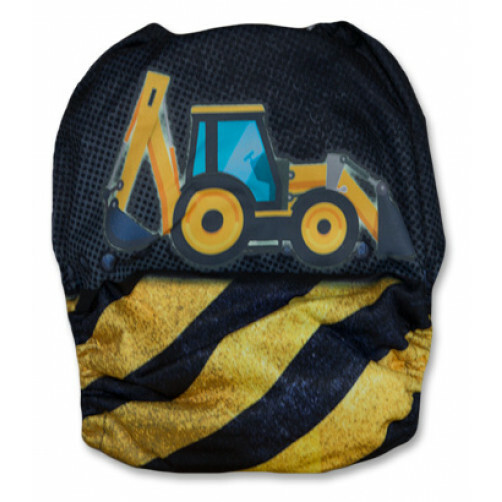 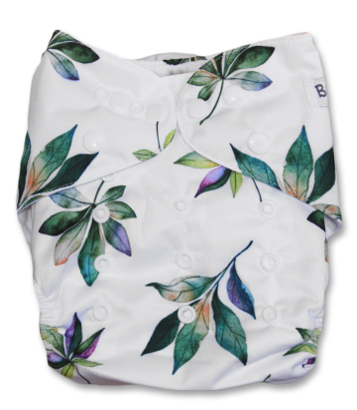 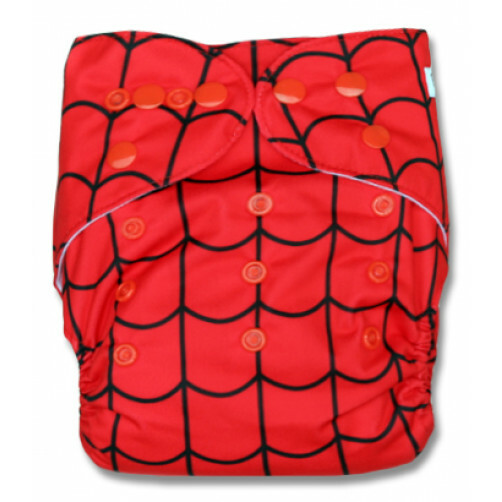 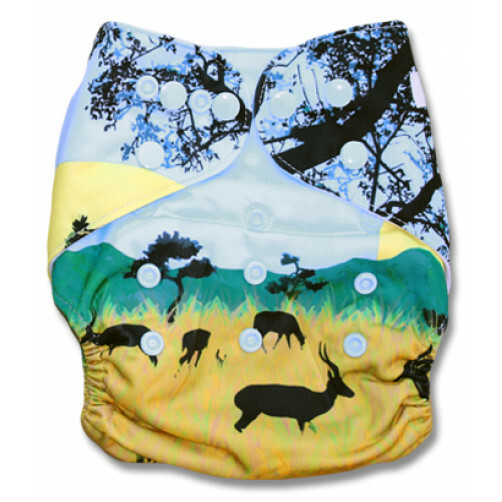 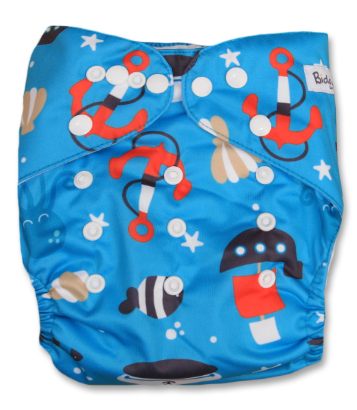 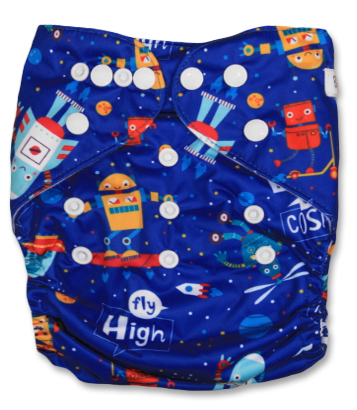 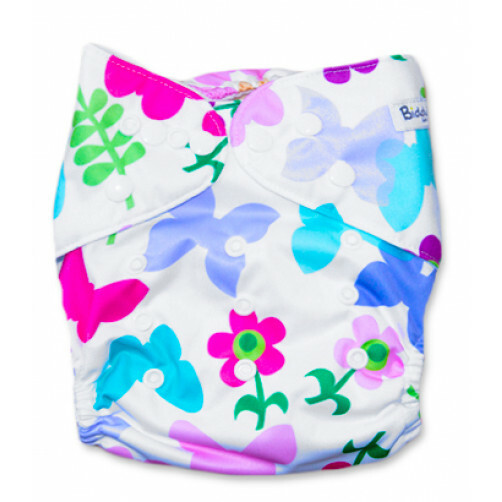 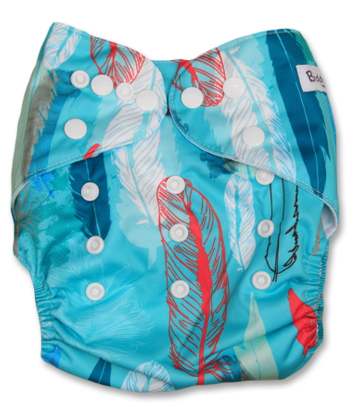 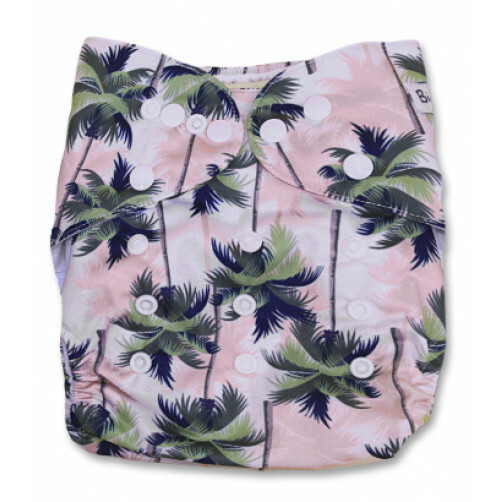 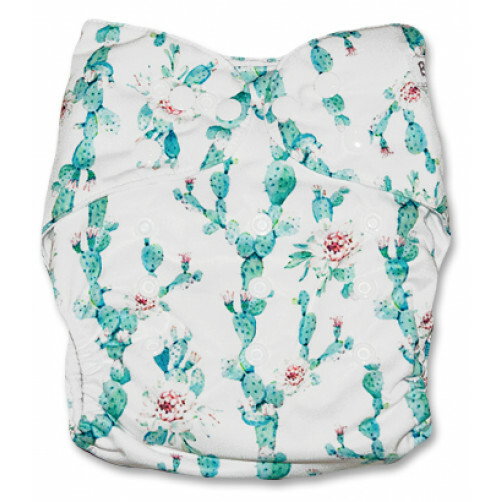 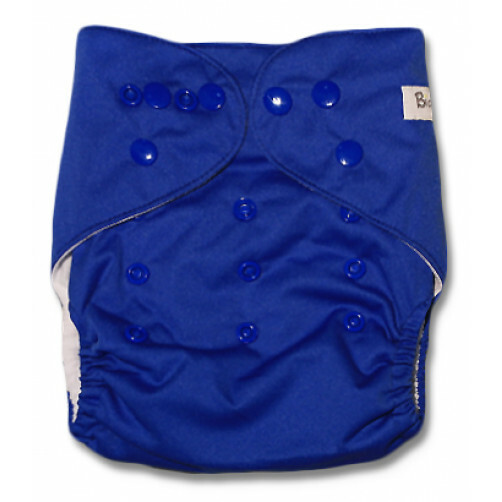 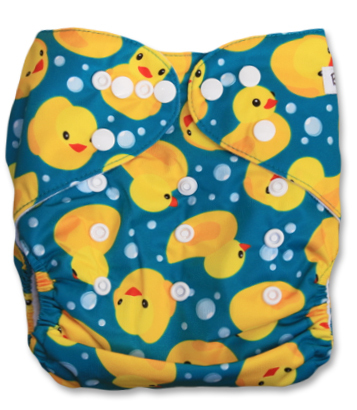 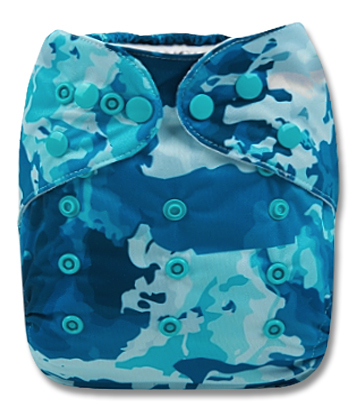 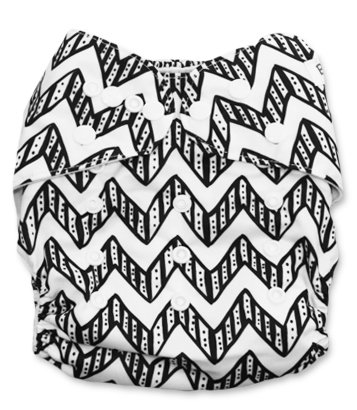 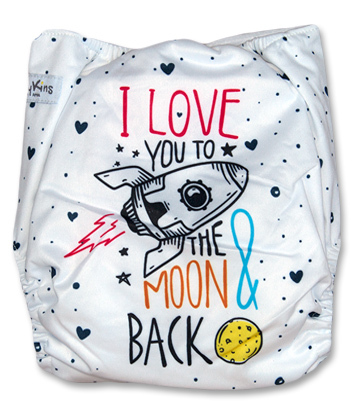 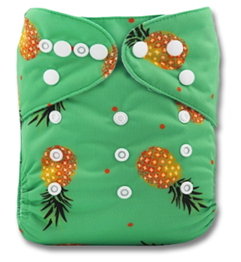 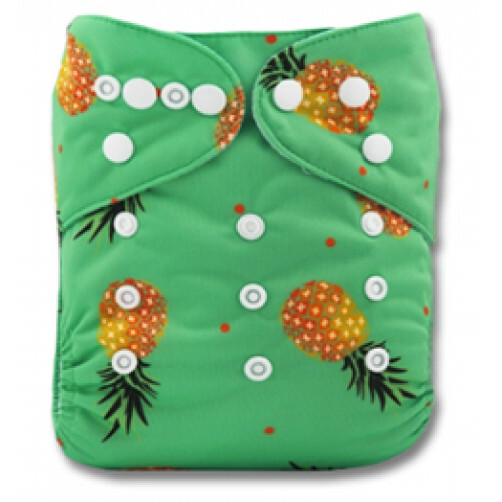 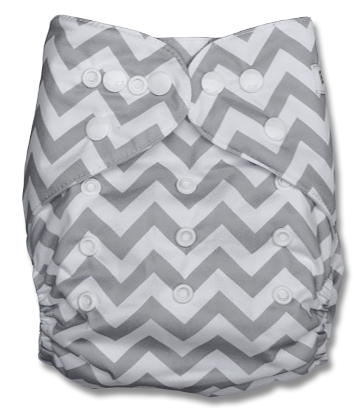 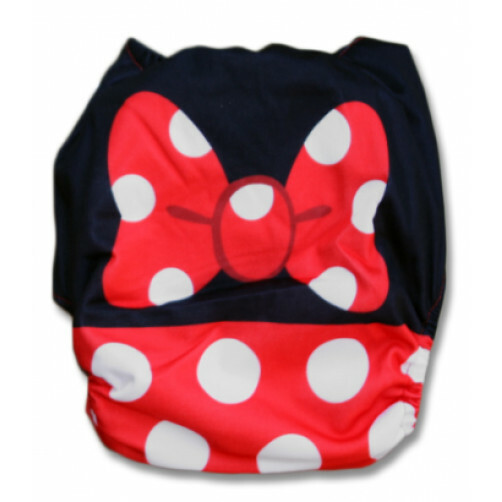 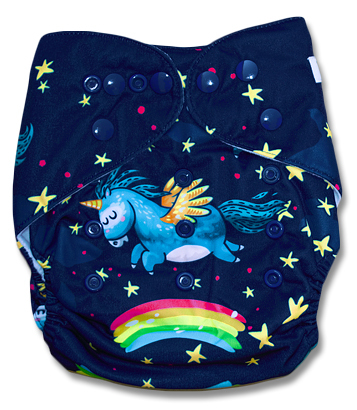 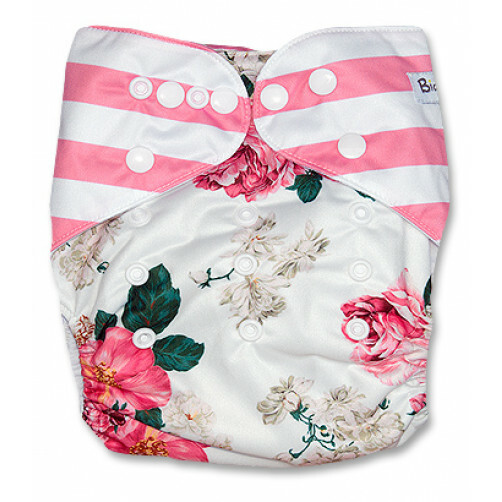 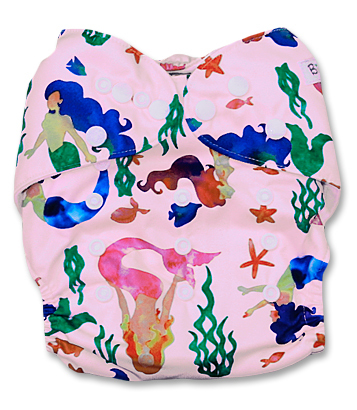 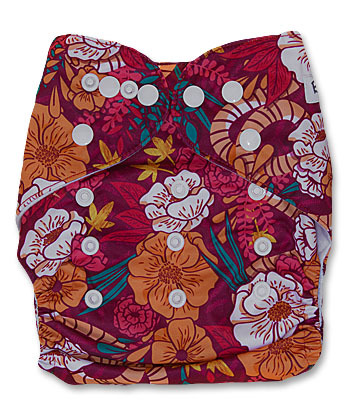 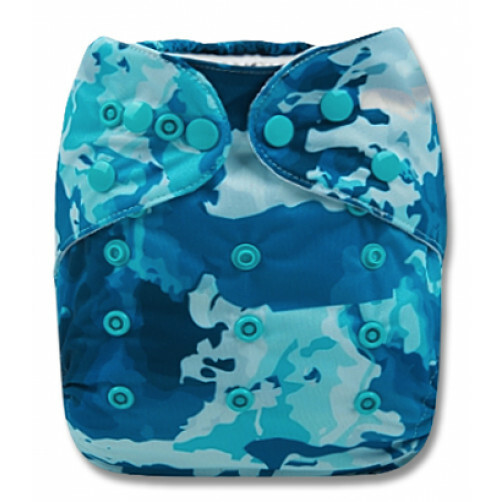 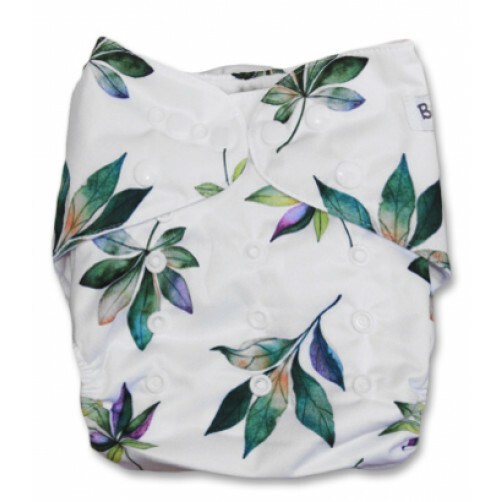 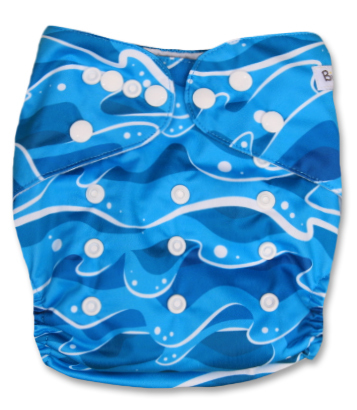 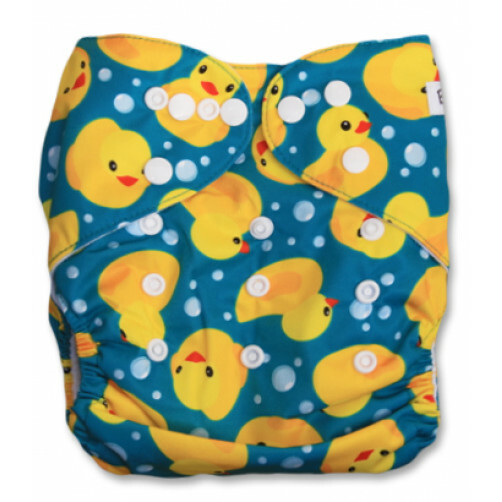 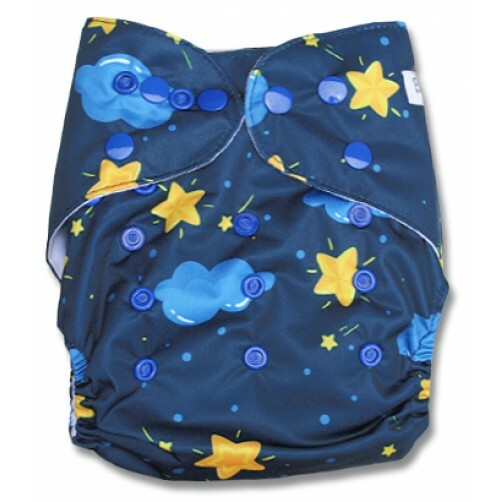 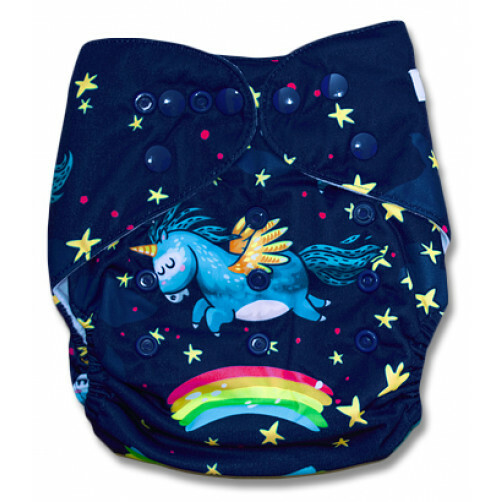 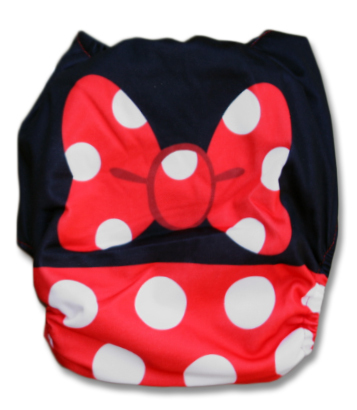 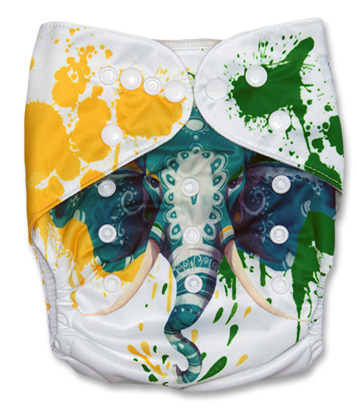 When time does eventually come to boost the All-in-One nappy (since you will need to add absorbency when the little one gets closer to potty training) adding a booster insert is as simple as laying an additional hemp booster insert beneath the two existing insert flaps. 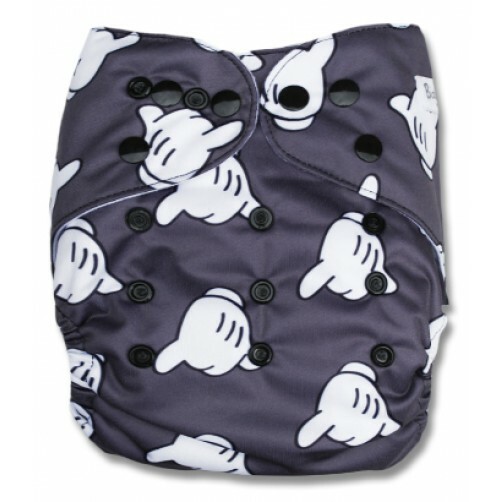 Keep in mind that since the inserts are permanently attached to the nappy, they can't be removed and dried seperately (ie in a tumble drier). 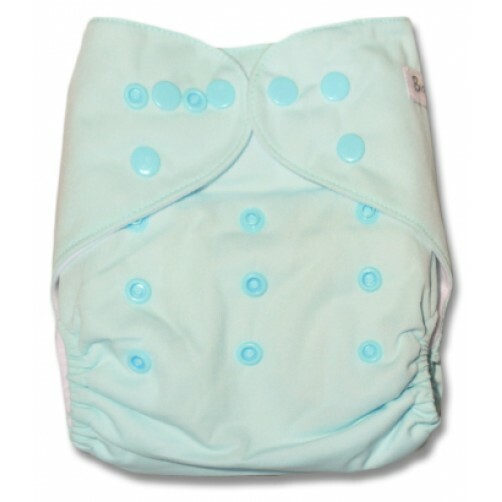 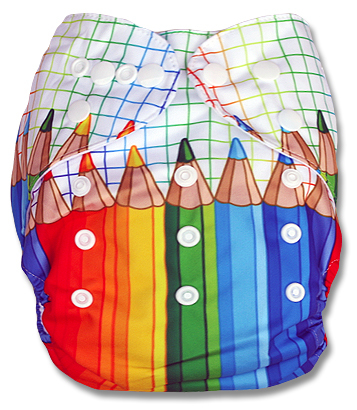 The entire nappy must be allowed to line dry.